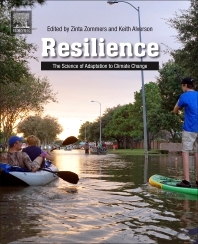 In Resilience: The Science of Adaptation to Climate Change leading experts analyze and question ongoing adaptation interventions. Contributions span different disciplinary perspectives, from law to engineering, and cover different regions from Africa to the Pacific. Chapters assess the need for adaptation, highlighting climate change impacts such as sea level rise, increases in temperature, changing hydrological variability, and threats to food security. The book then discusses the state of global legislation and means of tracking progress. It reviews ways to build resilience in a range of contexts— from the Arctic, to small island states, to urban areas, across food and energy systems. Critical tools for adaptation planning are highlighted - from social capital and ethics, to decision support systems, to innovative finance and risk transfer mechanisms. Controversies related to geoengineering and migration are also discussed. This book is an indispensable resource for scientists, practitioners, and policy makers working in climate change adaptation, sustainable development, ecosystem management, and urban planning. Zinta Zommers is Mercy Corps’ Head of the Zurich Flood Resilience Alliance. A Rhodes and Commonwealth Scholar, she has graduate degrees in Zoology and Development Studies from the University of Oxford. Zinta worked with United Nations’ Secretary-General’s Climate Change Support Team, during the negotiation of the Paris Agreement, with United Nations Environment and with the Food and Agriculture Organization. She has advised the United States’ Government and the Government of Sierra Leone, and has worked with vulnerable communities in over 10 countries across Africa and Asia. She previously coedited the book, Reducing Disaster: Early Warning Systems for Climate Change, and is a Lead Author for the Intergovernmental Panel on Climate Change. Keith Alverson has degrees in Mechanical and Aerospace Engineering and East Asian Studies from Princeton University (1988) and a doctorate in Physical Oceanography from the Massachusetts Institute of Technology and the Woods Hole Oceanographic Institution (1995). He has over 150 publications including Past Global Changes and Their Significance for the Future (Elsevier, 2000). He is currently Secretary General of the IUGG Union Commission on Climatic and Environmental Change and elected at-large member of the International Association for Meteorology and Atmospheric Sciences Executive Committee.